Will there be another runaway Premier League winner, or is it too close to call? Keep up-to-date with the odds in England’s top flight. Manchester City left the other Premier League title contenders in the dust last season. But after a summer of regrouping, Liverpool, Manchester United and Tottenham Hotspur are ready to mount another challenge. There are no easy games in the Premier League – on any given week the teams at the bottom can shock the teams at the top. BettingTop10 can keep you in the know. Tuesday, April 16th, 2019 @19:45, Amex Stadium, Falmer. A classic relegation battle as two sides at the wrong end of the table attempt to get some much-needed points to help them stay up. Monday, April 22nd, 2019 @20:00, Stamford Bridge, London. 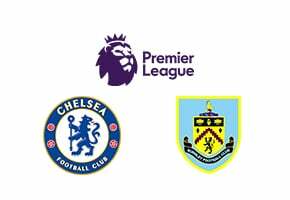 Chelsea need to get all three points from the visit of Burnley if they are to keep up the pressure in the race for fourth place. Wednesday, April 24th, 2019 @20:00, Old Trafford, Manchester. The Manchester derby comes around at a pivotal moment of the season – with both clubs desperate for all three points. Tuesday, April 23rd, 2019 @19:45. 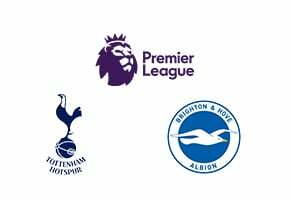 Tottenham look to consolidate their Champions League qualification spot with a win over Chris Hughton’s struggling Brighton. Friday, April 26th, 2019 @20:00, Anfield, Liverpool. Liverpool welcome Huddersfield to Anfield on Friday night for their week 36 Premier League tie. 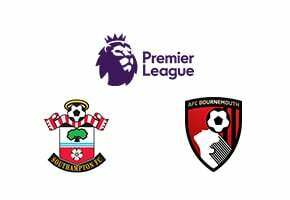 The most lucrative domestic competition in world football, the Premier League attracts attention from around the world like no other division. From its founding in the early 1990s and inaugural 1992/93 season, to its standing today with global audiences in the hundreds of millions, the top tier of English football is appealing to fans, players, broadcasters and investors alike – not to mention bookmakers and punters, who want to keep on top of all the Premier League betting. With the advent of the 2018/19 campaign, the Premier League enters its 27th season. 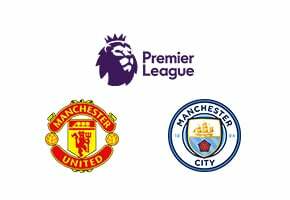 Last year’s title winners Manchester City are being chased by Jurgen Klopp’s Liverpool, Mauricio Pochettino’s Tottenham Hotspur and Jose Mourinho’s Manchester United as they defend their trophy. Liverpool, the country’s most successful club in the pre-Premier League era, reached last season’s Champions League final, while Tottenham have been regular challengers under Pochettino, and United tend to be there or there abouts through the wily Mourinho. Chelsea and Arsenal – along with City, United, Leicester City and Blackburn Rovers the only clubs to have won the Premier League – will want to be in the mix too, but they are further back in the running in the Premier League winners odds. The new season marks the second time that the top four teams from the UK’s most prestigious league directly qualify for the Champions League group stage. The fifth-placed side go straight into the Europa League, along with the FA Cup and EFL Cup winners. Down the bottom, the trio who finish between 18th and 20th go into the Championship, and the Premier League odds for relegation are as tight as at the other end of the table. 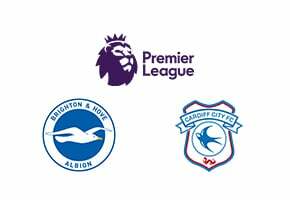 Replacing them are the two highest-placed Championship teams, who gain automatic promotion to the Premier League, while clubs finishing third to sixth in the second tier compete for a playoff to fill the last remaining spot in the top flight. The team coming up via the playoffs are usually lumbered with the shortest Premier League odds to avoid relegation. With so many title contenders to vouch for in the Premier League betting, the UK’s top tier has acted as platform for some of the world’s best players. The top tier initially struggled to draw overseas talent as it struggled to move on from stadium disasters and shed its long-ball reputation, but the last 30 years has seen it go from a retirement home for the likes of Ruud Gullit and Gianluca Vialli to where superstars reside, whether it be City’s Aguero, Chelsea’s Eden Hazard, United’s Paul Pogba or Spurs’ Harry Kane. However, no player has won more Premier Leagues than Red Devils legend Ryan Giggs, who lifted the trophy an astonishing 13 times. Now manager of Wales, it wouldn’t be a shock to see Giggs in a club dugout soon, fighting against the Premier League odds again. Looking ahead to betting on the Premier League for the new season, the Premier League predictions expect it to be the closest campaign in years. With all of the top six strengthening over the summer and Tottenham tying down all of their key men for the foreseeable future, City’s title defence doesn’t seem so much of a certainty. Further down the table, Everton and West Ham United both look set to challenge for European places after buying well, while two of the division’s newest teams – Wolverhampton Wanderers and Fulham – made arguably the best of the summer signings. That’s something else for you to consider when betting on the Premier League. City may have romped to the title last season, but there is much more to winning a Premier League crown than merely buying it, and the days when a hefty bank balance could shift the Premier League betting are mostly over. Chelsea set the bar the year before as they became the first club to lift the trophy with 30 victories and a back three. Pep Guardiola’s side trailed the Blues by 15 points on that occasion, but they raised the bar even higher during a record-breaking 17-18, even if a spending splurge of over £200m inevitably helped. There wasn’t a team in England who were most consistent or complete, and there may never be another who dominate the Premier League quite like they did. However, betting on the Premier League is an unpredictable experience, so who knows what could happen? A bumper TV rights deal means the wealth is now spread around the league like never before. Betting on the Premier League this season is arguably more difficult than before, thanks to the money sloshing around the league. None of the new boys will participate in derby matches, but the usual assortment of Manchester, Merseyside and London derbies will be feistier and laden with more quality than ever. And as the riches of the Premier League move into unchartered waters, it won’t be just the big matches that are worth your hard-earned money and attention. Indeed, this is reflected in the Premier League predictions, which aren’t so clear-cut, as well as the Premier League odds. English teams are also among the best on the European scene. This has gathered a decent coefficient, ensuring the top four teams qualify for the Champions League, in turn making Premier League betting more difficult as European fatigue is often a factor. Indeed, some managers have gone so far as to complain the fixture compiler is working against their club by arranging challenging away games immediately after European outings. 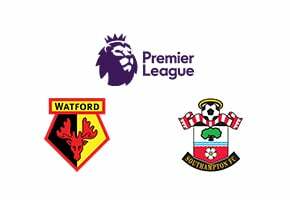 While that might be paranoia run amok, a club’s participation in European football can make Premier League predictions that bit trickier, particularly when the latter stages are in view. If a team has no chance of success domestically but could claim a European prize, it’s perhaps only natural their attention is diverted to the continent. English clubs have historically been successful in Europe, and that’s been the case in the Premier League era as well. Manchester United, twice, Liverpool and Chelsea have all lifted the Champions League since 1992, while Arsenal were runners-up, and there are plenty of English names on the Europa League too. The thinking behind Premier League predictions can be applied to the early stages of the European competitions but in the latter rounds, and extra time and away goals are added to the equation, the dynamic is very different. Premier League odds will fluctuate over the season, and it may be that a team vying for the title is helped by being knocked out of Europe earlier than their rivals. And it should also be remembered that Premier League predictions are not an exact science – but BettingTop10 will be on hand with the information needed to help punters make informed judgements throughout the season.